Pulp and paper production is extremely demanding when it comes to drive technology. In order to ensure smooth interaction between the substantial forces involved in pulp and paper production, the industry’s machines and systems need to combine superior robustness with absolute precision. Rexroth is setting new worldwide standards in this area. Whether it's lifting or lowering loads at a steady speed, executing straight-line or rotating movements, generating steady accelerations and maintaining set speeds, moving to defined positions with absolute precision, transferring power, or interlinking processes – whenever forces have to be employed economically, industrial hydraulics are the undeniable answer. 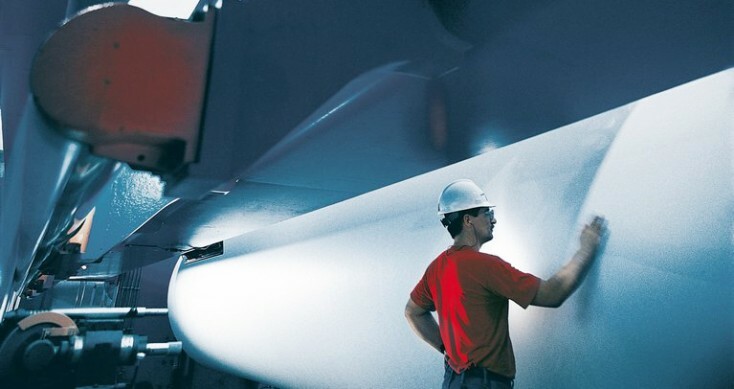 Our applications center for the paper industry provides support for our customers in achieving outstanding results in the precision, value and longevity of their production equipment. It combines specialized knowledge in industrial hydraulics, many years of experience in the industry, and extensive process expertise to develop highly specialized, individual system solutions, often working in close direct contact with users working in the industry.